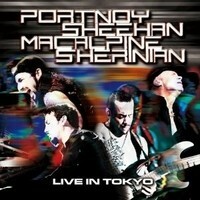 In November 2012, a special touring band were assembled for a very unique tour in Israel, Russia, China and especially in Japan, the name of the band was PSMS that stands for PORTNOY / SHEEHAN / MACALPINE / SHERINIAN. This unfishable instrumentalist dream team’s road-show now provide us, a rare testimonial item, so far released only in Japan thru an exceptional full package containing 2 CD and a DVD, the all-star casting is also completed by Simon Phillips (TOTO / ex-THE WHO / ex-JUDAS PRIEST) who mixed the Audio parts brilliantly. This is the review for this amazing token. The concept behind PSMS is that they played a mix of instrumental tracks from each other's career with some cross-over twists, some related collaborations and numerous instrumental covers. This amazing line-up setlist also, & obviously, consists of blistering renditions, amazing hi-tech performances and magical solos spots by those legendary master players in their own fields. The external cover songs are a few but, they pay some tribute to their Jazz-Rock roots, as “Stratus” out of the legendary 1973’s “Spectrum” by Billy Cobham with future DEEP PURPLE’s alumni, Tommy Bolin (R.I.P.) on guitar, and the Jeff Beck’s version of “The Pump”, allows Tony MacAlpine to show his Fusion side. While the Japanese fans favorites are of course the DREAM THEATER’s cuts as "A Change Of Seasons", "Lines In The Sand" or "Hell's Kitchen", but my preferences goes to Tony and Billy's breakthrough album, "Edge Of Insanity", the climax hit “The Stranger” terrifically revitalized with a huge doubling performance by Derek Sherinian, or the now mythic LIQUID TENSION EXPERIMENT’s “Acid Rain”, but though the most jaw-dropping moment is the demented interpretation for the already immortalized in the “Live From Oz” by PLANET X “Apocalypse 1470 BC”, which is still one of the most acrobatic & psychotic shredding tune ever played by four human beings, truly incredible. Special mention for another legendary magnificent track featured on the “Live Speed on Ice” album in 1983 by TALAS, still mind blowing. Mike Portnoy (ADRENALINE MOB / WINERY DOGS / ex-A7X and of course ex-DREAM THEATER / ex-LTE), Billy Sheehan (ex-TALAS / ex-DAVID LEE ROTH / NIACIN / MR. BIG) , Tony MacAlpine (M.A.R.S. / PLANET X / RING OF FIRE / CAB) and Derek Sherinian (ex-DREAM THEATER / PLANET X / ALICE COOPER / RISING FORCE) had come together as the King of supergroups and if you hadn't the privilege to witness their tour in Europe and Asia, this is the best way to fix that terrible mistake. If you were there, well, it's simply the best tangible remains of that incredible event. Record Label: Whd Entertainment Inc.